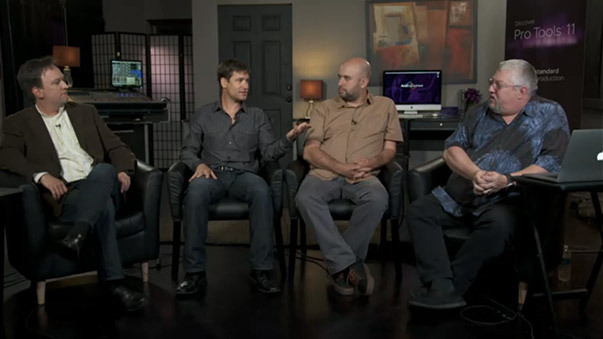 Avid today confirmed the new Pro Tools features that we discussed in an earlier post, in their Avid Everywhere Music Webinar. The new collaboration features that are part of Avid’s new Avid Everywhere program will be available this year in a new to be released version of Pro Tools. These include a Freeze Track function that will be able to instantly render your track including the effects plug-ins. This allows you to upload the ‘frozen’ tracks to a new to be released Pro Tools’ Cloud and share the tracks with multiple people to collaborate on the tracks you shared. They can then record new tracks on top of the shared tracks and use any plug-ins that they have. The new tracks can then be send back to you for review. You can unfreeze the tracks to get access to the plug-in parameters and change them. If one of the collaborators used a plug-in that you don’t own you can instantly rent or buy this plug-in. The plug-in will be available without having to leave or even restart Pro Tools. The Avid forum in the webinar confirmed that the Freeze Tracks function will be available for archiving functions and not just the collaboration feature. The Pro Tools collaboration function is not real-time (yet) but Avid found that that’s not what everyone really wants. Producers and musicians want to not have to wait for someone to work on their tracks but rather let them continue work while others work in their own time. 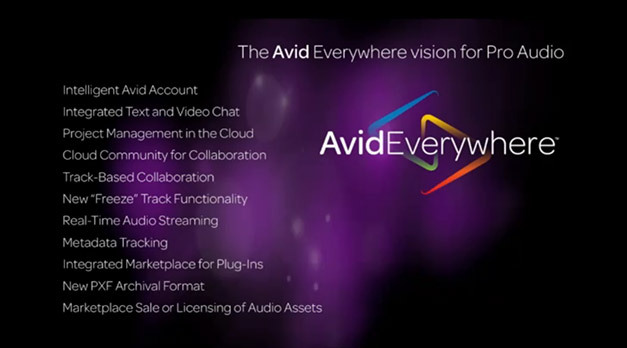 Still, Avid is looking at a real-time collaboration functionality as well. Nothing like that has been shown or announced though in the webinar. 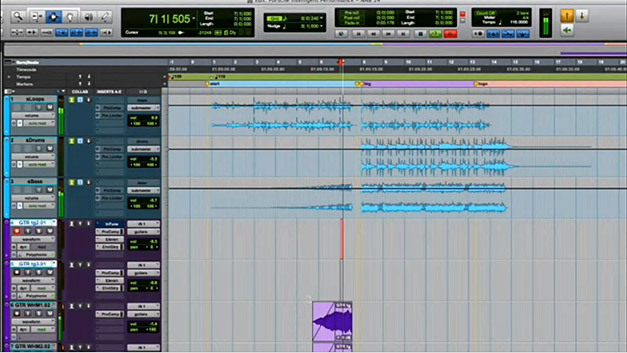 Avid confirmed that the Pro Tools collaboration feature will be available for both Pro Tools and Pro Tools HD. This clearly indicates that the new Freeze Track will be available for everyone. 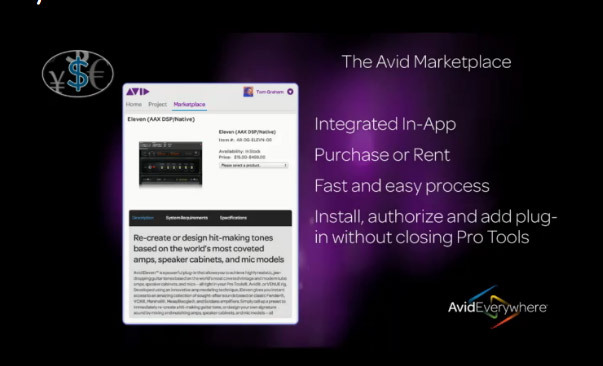 The Avid Marketplace will not only allow collaboration but will also give you the opportunity to sell your music through Avid’s cloud. The Marketplace will also be available for Media Composer giving composers a new way of selling music to video producers. Exchanging Tracks works via the new PXF file format. This allows you to share tracks with others and be sure that all metadata of the tracks is properly send to those who collaborate. As mentioned earlier, Avid expects to deliver all of these features in a new update of Pro Tools somewhere this year. Pricing of Pro Tools Cloud or the update has yet to be announced.